The Phoenix R/C 5 RC Simulator comes with a USB to 3.5mm stereo headphone plug. 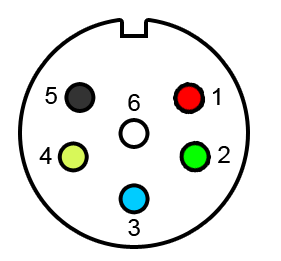 The Hitec Optic 6 trainer plug is a 6 pin DIN connector. 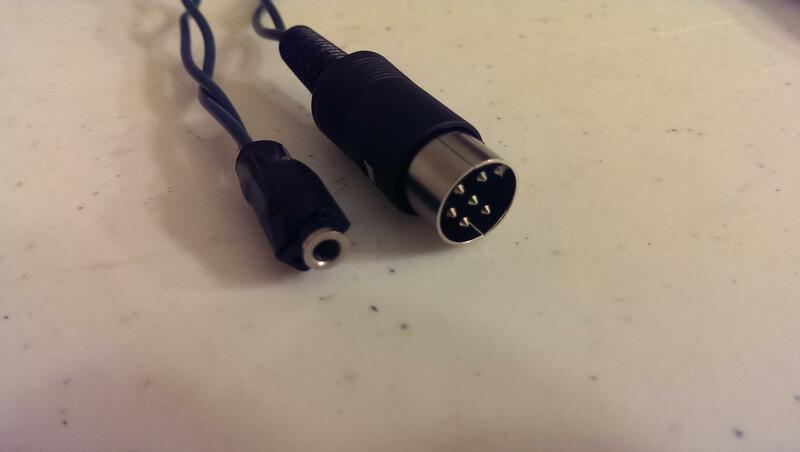 So, it turns out there's a way to make a cable to connect the stereo plug to the 6 pin DIN jack. With some spare cable, a 3.5mm headphone jack on hand, and a 6 Pin DIN Plug you can create an adapter cable that works like a charm. Here's the pinout of the 6 pin din connector. First, short pins 4 and 5. This disables the radio transmitter when the cable is plugged in, which is pointless to have on when connected to a simulator. Next, connect the ground of the DIN to the ground of the stereo jack. Then, connect pin 2 of the 6 pin DIN plug to the middle ring of the stereo jack. It turns out, you can just as well just use a mono jack or even solder the tip and sleeve together. Connect up to the simulator jack and you're good to go.